We’ve got great news! TDS contractors will be visiting your neighborhood soon to begin (and complete!) fiber network construction. This work will enable your fiber-to-the-home connection when services launch. But, to reach that exciting finish line will require a little bit of yard work—and we don’t mean trimming trees and pulling weeds. Our contractors will need to trench and bury a fiber line from our fiber cabinet into your yard. Outside contractors will be on your property identifying and locating underground utilities. After this happens, please mark any private underground equipment such a sprinklers or pet fences. TDS Fiber contractors will come to your door and alert you to when they’ll be working outside your home. After work begins, our contractors will run the fiber line from our cabinet into your yard within 3-10 days. Don’t worry about being home. You don’t need to make an appointment or be around for our contractors to begin or complete their work. Once work is finished in your neighborhood and the network is ready to be turned on, you can schedule your installation. 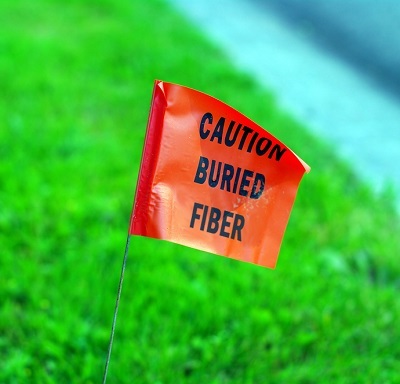 At your install, TDS contractors will return to connect the fiber line to your home, and set up the equipment so you can enjoy the very best fiber-based services around. Will TDS have to rewire our home because we have copperwiring in our home.? Hi Sharon. No, we don’t. We bring a fiber cable to your home and it’s connected to a small box (called an optical network terminal) inside your house—typically in your basement, if you have one. That terminal then connects to a wireless modem. If you get TDS TV, we do hard wire the DVR to the fiber equipment—at our cost (assuming you don’t have CAT5 wiring in addition to copper)—but any set-top-boxes would be wireless. If you have any additional questions, don’t hesitate to give our customer care team a call (1-888-225-5837). We have called the office in Tennessee and put our phone and cable request in. Is that all we have to do now? Will we have to be around when you bury the drop? Also you will call us to schedule an install date. Yes. No. Yes. :-). Once you have ordered services (not just registered for TDS Fiber), that’s all you need to do. You don’t need to be home when our techs bury the drop. And, we’ll give you a call to schedule your installation–the timing will be dependent on when your neighborhood is launching. I hope I have answered all your questions! A lot of our neighbors have had there yards marked but we have not. We are located on the South side of Ring St. Our neighbors across the street have there done. What is up. Sharon, I edited your comment so as to not share your address with everyone :-). We’re trying to investigate this—is it safe to assume you have registered and ordered services with us? Yes we have . I replied to your email last night. I appreciate any information you can provide for me. I have been in contact with Michael in Tennessee.He was going to send a note to the field manager. I don’t mean to be a nagging customer I just want answer. Sharon, I sent you another email this afternoon. We appreciate the info and hopefully I’ll have an answer soon from our construction folks running the project. Thank you for your patience! Hi again! I just got news from our construction crew. They see your name is on the drop list for your neighborhood (what we call area FA) so rest assured—you have not been forgotten. It could be that, as our contractors are calling in home-by-home for utilities to be marked, yours simply hasn’t been gotten to the top of the list yet (but you ARE on the list). Have a great weekend! Will there be compensation for the removal of plants and flowers that were in the way of the workers? We have quite a few plants that were removed and disposed of without any notice. Bryan, you can reach out to Chase at (608) 664-0017 for some help about this, or you are welcome to send me send me your address and contact information to comments@tdstelecom.com. Thank you! When will we be contacted regarding the installation and sign up? I registered a couple months ago, but have yet to see anything regarding what the services and costs are or to do the actual sign up. We will send an email one month before your neighborhood launches with a link to a web order form (which also has pricing) so you can place an order. If you prefer to not use that form or we don’t get one, we’ll call you around two weeks before launch to take your order. If you’d like to get it taken care of now, we can have a door-to-door representative reach out to you—just let us know :-).